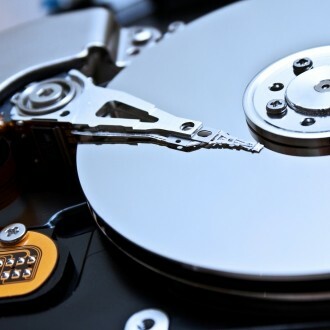 It's increasingly rare for mechanical drives to make headlines, but Seagate is beating the PR drum over an advancement that promises to drastically increase the capacity of hard drives. The company has achieved a storage density of 1 terabit per square inch, about 55% more than today's 620 gigabits per square inch. More abstractly, Seagate says that's more bits per square inch than our Milky Way galaxy has stars, which astronomers estimate between 200 and 400 billion. At 620Gb per square inch, current 3.5-inch HDDs peak at 3TB, while Seagate's 2.5-inch consumer drives max out at 750GB. The new tech will roughly double that to 6TB and 2TB when it arrives "later this decade" and it will lead to astronomical capacities of up to 60TB over the following 10 years. Seagate hit the milestone with heat-assisted magnetic recording (HAMR), which the company hails as a next-gen successor to 2006's perpendicular magnetic recording (PMR). PMR is expected to peak at approximately 1Tb per square inch in the next few years, which is essentially the starting density of HAMR drives. "The technology offers a scale of capacity growth never before possible, with a theoretical areal density limit ranging from 5 to 10 terabits per square inch -- 30TB to 60TB for 3.5-inch drives and 10TB to 20TB for 2.5-inch drives," Seagate explained in its press release. Along with avoiding concrete launch windows, the company omitted details about how HAMR works. We assume that's mostly because your eyes would glaze over, and not for competitive reasons as Fujitsu (acquired by Toshiba in 2009), Hitachi and presumably others have been tinkering with HAMR and other technologies for many years. A 2006 article by CNET does a good job of breaking things down. The gist of it: Data is stored in bits that contain hundreds of cobalt-platinum grains representing either a 1 or 0. To increase capacities, engineers shrink the size of bits and grains. However, with current tech, we're approaching a point where further shrinkage could cause grains to flip between 1 and 0 at room temperature, resulting in data corruption. Reducing the number of grains per bit presents other issues. CNET reported at the time that Seagate and others planned to solve the problem by replacing cobalt-platinum grains with iron-platinum ones that wouldn't flip at room temperature. Thus enters the "heat-assisted" part of HAMR: drives have an integrated laser to heat the bits and record data. It's safe to assume other hard drive makers won't take Seagate's announcement lying down, so it'll be interesting to see whether their next-gen drives use similar HAMR-based solutions or something entirely different.